The second episode of Justified‘s sixth and final season introduced a few new characters that would be help drive the series toward its action-packed endgame, including a shockingly mustache-less Sam Elliott as ruthless yet refined gangster Avery Markham. Timothy Olyphant as U.S. 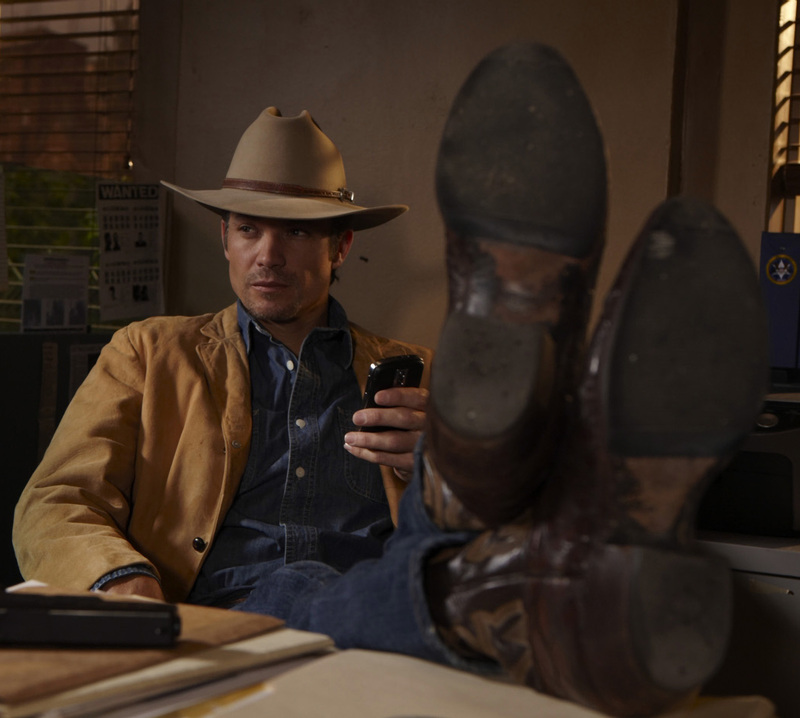 Marshal Raylan Givens in the pilot episode (“Fire in the Hole”) of Justified. 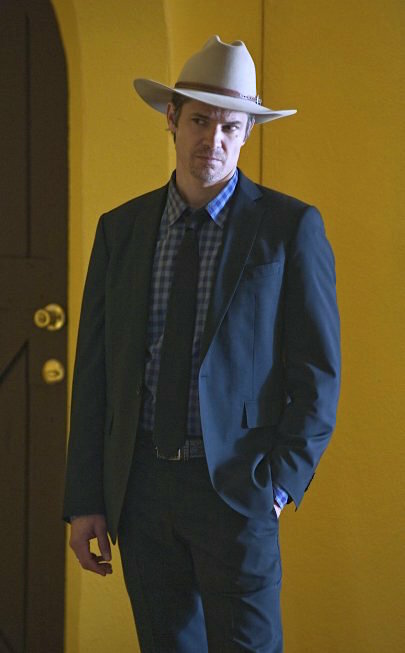 BAMF Style concludes this weeklong focus on first episodes with an outfit from the pilot of Justified, one of my favorite modern crime shows. Timothy Olyphant as Deputy U.S. 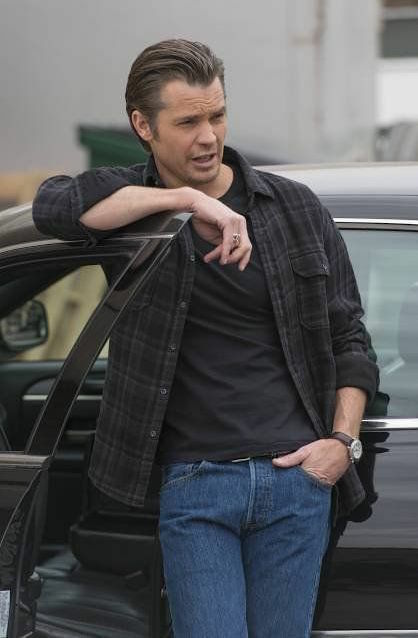 Marshal Raylan Givens on Justified (Episode 2.13: “Bloody Harlan”, 2011). 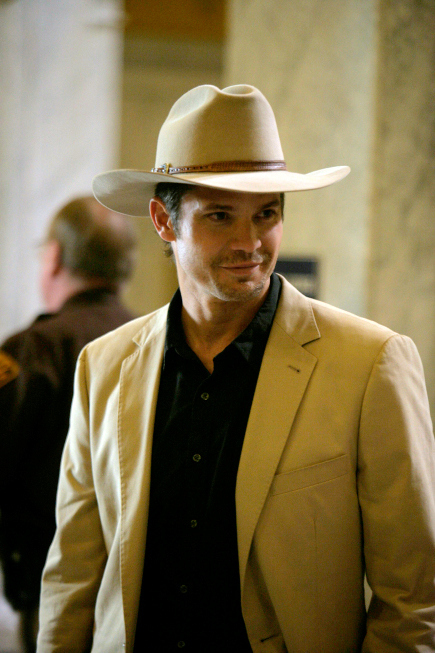 Timothy Olyphant as Deputy U.S. 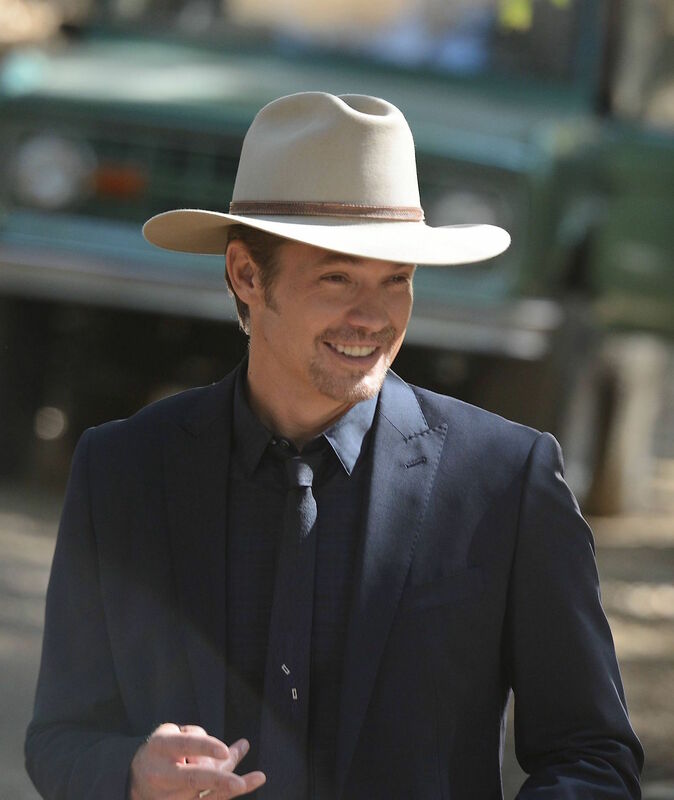 Marshal Raylan Givens on Justified (Episode 5.08: “Whistle Past the Graveyard”). With the Kentucky Derby upon us this weekend, BAMF Style is returning to Harlan County to check in with one of our favorite residents of the state, Deputy U.S. 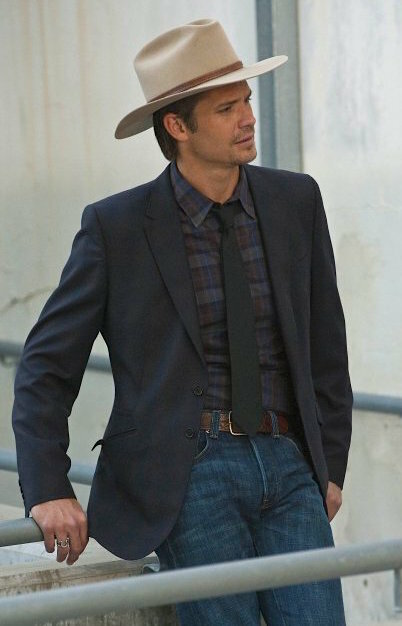 Marshal Raylan Givens. Timothy Olyphant as Deputy U.S. 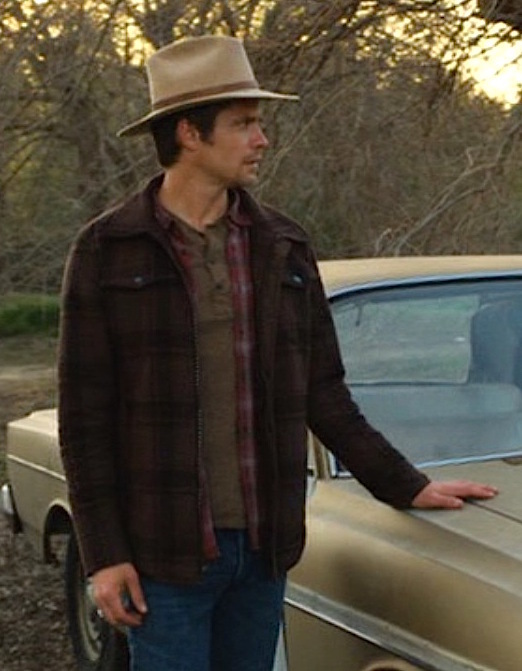 Marshal Raylan Givens on Justified (Episode 1.03, “Fixer”). A laconic, black-suited lawman with a troubled personal life and deadly accuracy with a firearm. The first name that would come to mind for most people is Wyatt Earp. It’s no coincidence that Justified‘s showrunners also ensured that the description would fit Deputy U.S. Marshal Raylan Givens to a T.
You are every inch the goddamn gunslinger I’ve heard.